Meditation? What is it? For over 5,000 years, meditation has been used in spiritual and healing traditions in many parts of the world. Historically, religious or spiritual aims were central to meditation and traditionally, meditative practices held some type of spiritual growth, enlightenment, personal transformation, or transcendent experience as their ultimate goal. With the integration of these traditions into modern and Western culture, the practice of meditation has increased in popularity among the general public. ​Over the last 40 years meditation has been used as a secular mind-body therapeutic approach for a variety of psychological and health-related problems. Its positive therapeutic benefits have been described in many ways in the scientific health care literature, including improved coping with distressing emotions, reduction in anxiety, reduction in depression and improved coping with pain. The complex quality of meditation, and the multitude of theoretical perspectives that describe the practice, have contributed to modifications in its use, and the resulting variety of therapeutic effects across meditation research studies. Meditation is typically defined as an emptying of the mind of thoughts, or concentration of the mind on just one thing, in order to aid mental or spiritual development, contemplation, or relaxation. With such a broad scope of meaning it is easy to place a variety of unique mental and physical practices into the singular category of meditation. Tai Chi : Routine of slow, deliberate bodily movement. Body relaxed with mouth closed. Attention is focused on body and internal energy. QiGong : Specific slow and stationary movements. Attention is focused on breath and internal energy. Yoga : Specific, active body postures dependent on school of training. Awareness is focused on specific breathing approaches and at times, mantras. Transcendental Meditation (TM) : No formal posture required. Eyes closed. Concentration on repeated phrase. Relaxation Response (RR) : Comfortable position required. Eyes open or closed. Concentration on repeated phrase. Autogenic Training : No formal posture required. Concentrative meditation communicating with body using repeated phrases (e.g., “my hands are warm and relaxed”). 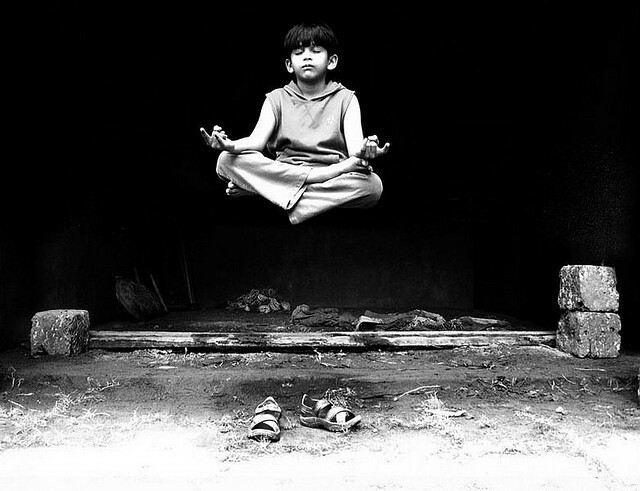 Clinically Standardized Meditation (CSM) : Comfortable position required. Eyes open and focused on a pleasant object. Concentration on repeated phrase. Vipassana : Uses seated posture. Focuses on cultivation of awareness, acceptance, nonjudgment, and paying attention to the present moment. Mindfulness Meditation : Comfortable position required. Attention is on breathing. Cultivation of awareness, acceptance, nonjudgment, and paying attention to the present moment. Over time and within different cultures, these diverse approaches have evolved out of several spiritual and philosophical traditions into techniques that range from reciting mantras (TM and RR) to spinning (Sufi Whirling Sema). Some practices require specific body positions (Zen Buddhist meditation, Tai Chi, and Yoga) while others are not concerned with posture (TM, RR, and CSM). Some practices (Yoga, Tai Chi, and QiGong) include movement, while others (Zen Buddhist Meditation, TM, RR, and CSM) use sitting as their primary practice. Early adaptations of meditation to psychological theory reflect the influence of TM, RR and CSM. Each of these approaches are behavioral relaxation methods in which a stimulus (the mantra) is associated with a sustained state of relaxation. * The primary goal of practice – relaxation, healing, or spiritual. Like other complex therapies, meditation involves a combination of specific and vaguely defined features that can be applied on their own, or together with other therapeutic and self-help skills. Whatever form one’s practice may take, meditation is increasingly viewed as a way of responding to one’s life in a manner that is noted by a deepening knowledge about experience derived from being focused in the present moment. Mindfulness is one such form of meditation that emphasizes present-centered awareness and has been widely adopted by health care. Mindfulness can be effective on its own, or in conjunction with other psychotherapeutic treatment. Mindfulness adapted for psychotherapy is a type of meditation derived from original Buddhist teachings. Buddhist teachings are dedicated to a pragmatic effort to know the mind, train the mind and liberate the mind. Mindfulness practice is central to these teachings and was developed as a course leading to the end of suffering and personal distress, a goal that is in kinship with the goals of modern psychotherapy. In Buddhist teachings, mindfulness practice involves turning one’s attention to experience in the present moment with acceptance. According to this Buddhist tradition, the present moment is our only encounter, therefore clinging to obsessive thoughts of past, or future inherently leads to suffering and distress. Simply put, mindfulness can lead the practitioner away from the constant worry of an overly active, anxious mind, toward the insight of a stable mind. Despite its Buddhist origins, mindfulness is not a religious activity, rather comes out of a Buddhist viewpoint of the psychology of mind, and as such has been easily adapted into Western psychology. Mindfulness is described by some psychologists as a process of bringing spacious awareness to moment-by-moment experience. In contemporary psychology, mindfulness has been used to increase awareness and create unbiased response to the mental processes that are known to amplify emotional distress and maladaptive behavior. Mindfulness is both a mental state and a simultaneous meditative action to achieve that state. It is self-regulation of attention maintained on immediate experience, thereby allowing for increased awareness of mental events in the present moment. Mindfulness requires engaging a neutral orientation toward one’s experiences in the present moment, a perspective that is characterized by openness, interest, receptivity, and acceptance. It is described as a process of regulating attention in order to bring that neutral observation to your here-and-now experience. It emphasizes relating to that experience within an orientation of openness and non-critical acceptance. With consistent practice, mindfulness results in a process of attaining clear perception into the nature of mind and taking on the ability to observe thoughts and feelings as temporary, objective events in the mind, rather than reflections of the self that are determined as true. This process allows the practitioner to distance oneself from self-doubt and negative mental patterns. Tags: Meditation, Stress Reduction. Bookmark the permalink. Previous post ← Am I in your Face?